Keen for TF2 after the New Year? 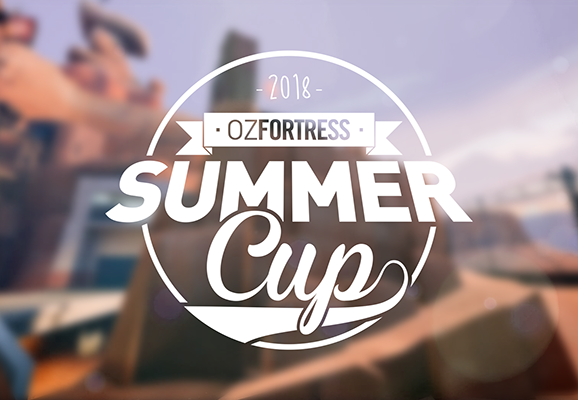 We are happy to announce the first event of this year & the follow up to our last event - ozfortress: A Midsummer Night's Cup 2, which will take place on the 14th of January. Much like it's predecessors, this cup are designed to be a casual, laid-back event for over the summer, especially after three seasons of the flagship league run back to back. Focusing on a relaxed experience, there will be three brackets - Premier, Intermediate and Open. Premier and Intermediate will have 8 teams while Open will have 16, signups permitting. All brackets will be a single elimination bracket, over a single night. For this second cup, we welcome the return of koth_bagel & cp_reckoner! The Grand Final of Premier and Intermediate will be played over three maps using a pick-ban system with a slightly modified version of the OZF 20 map pool. Unfortunately we will be unable to provide prizes for the Intermediate & Open brackets. ozfortress servers will be used for this competition, but they will be distributed by ozfortress League Administrators through Citadel. Be sure to be in the ozfortress Discord for ease of communication. If you are using an existing team, you do not have to recreate your team again! Simply sign up your A Midsummer Night's Cup 2018 roster using your existing team. We are really keen to get this out for people to know about this - form your teams, and get ready to play some great TF2. Signups are open now, right up until Friday the 12th of January at 11:59 PM! Pauses must not last longer than three minutes. Friendly reminder that Summer Cup 2 signups close in 2 days! SEE YOU THEN!